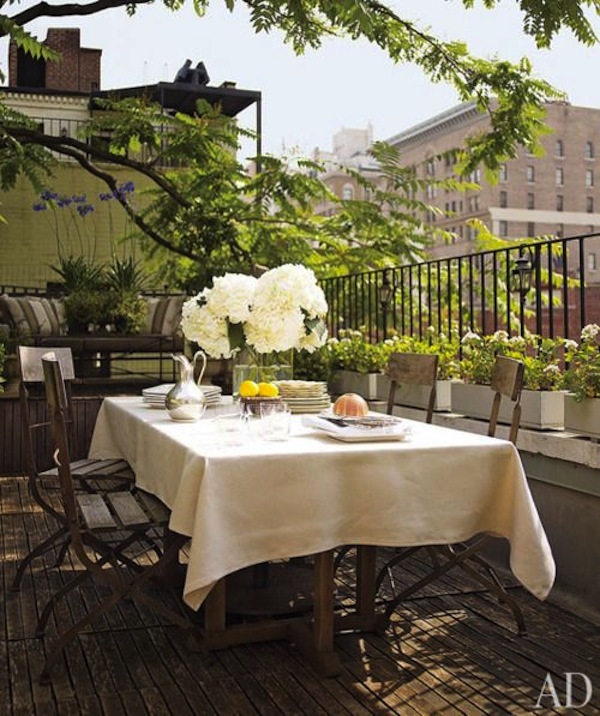 Outdoor bistro chairs are often paired with round tables for a lovely quintessential look. However, we think bistro chairs can also be perfect with rectangular tables when entertaining larger groups. 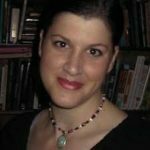 So, please don’t limit the many possibilities for using bistro chairs at your dining tables. 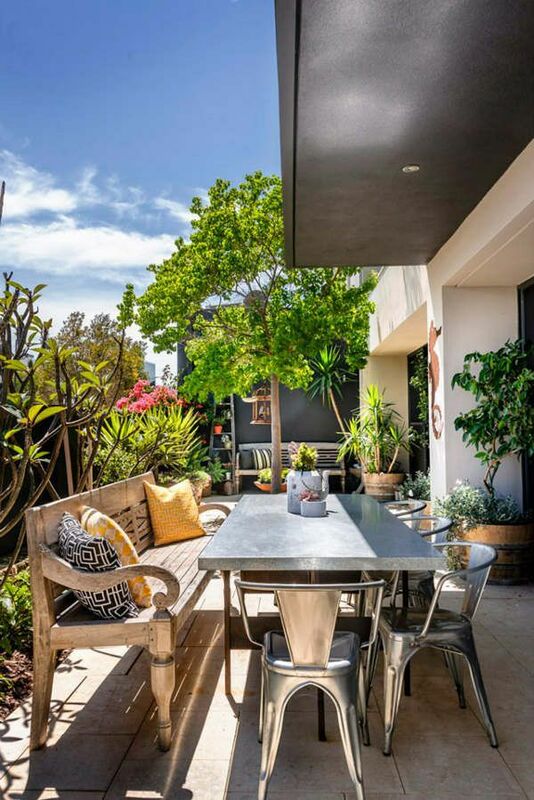 Metal outdoor bistro chairs surround this long zinc-topped dining table with a great wooden bench on one side. 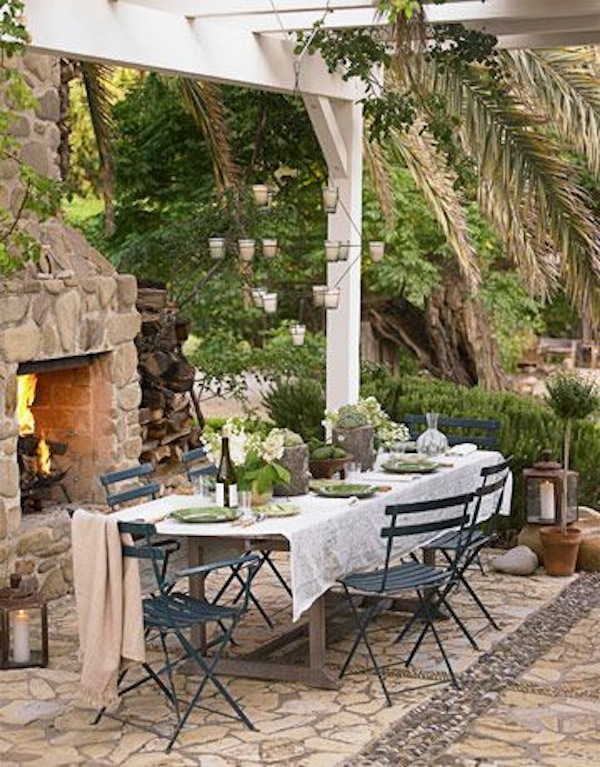 Formal meets rustic on this terrace. 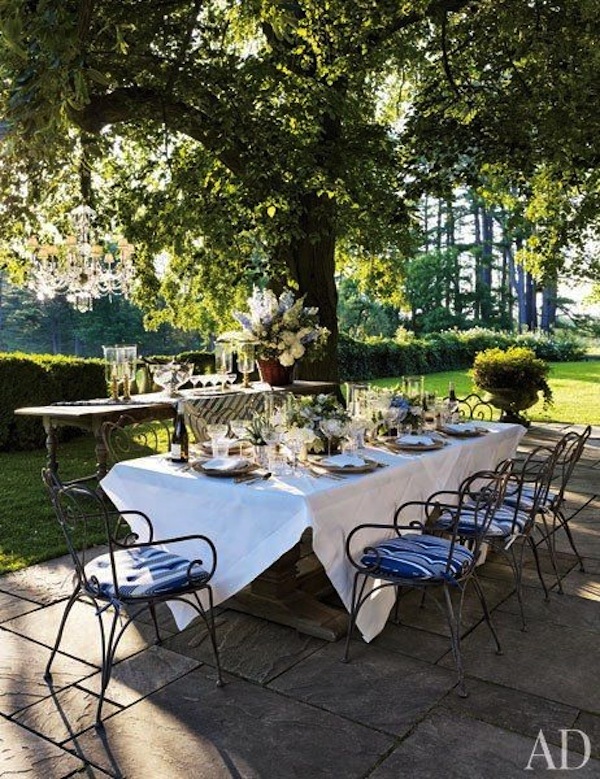 A crisp linen cloth, gorgeous over-sized fresh blooms and silver elements add elegance to this table with vintage outdoor bistro chairs. 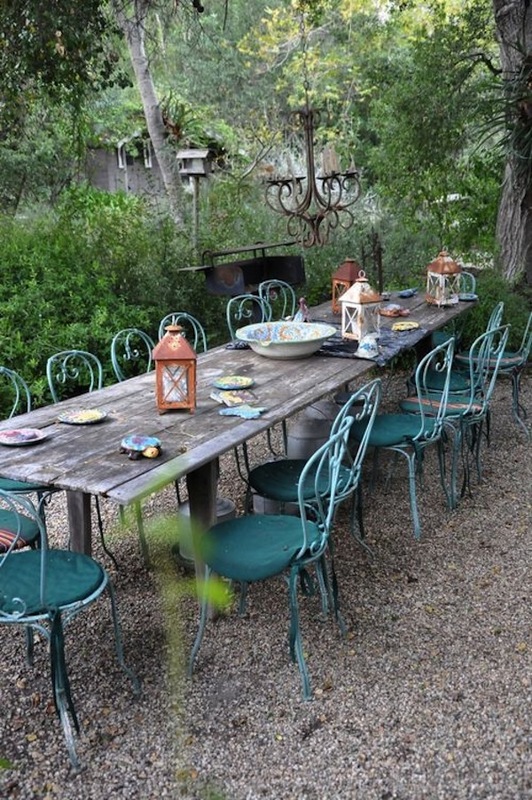 Turquoise outdoor bistro chairs surround a weathered wood table to create an outstanding rustic look. 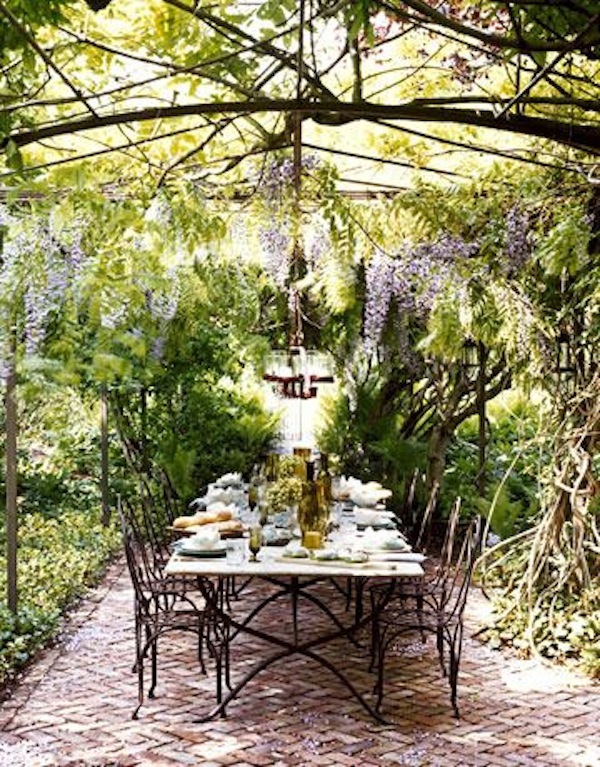 Wisteria draped overhead and brick underfoot enhance this elegant al fresco dining space. 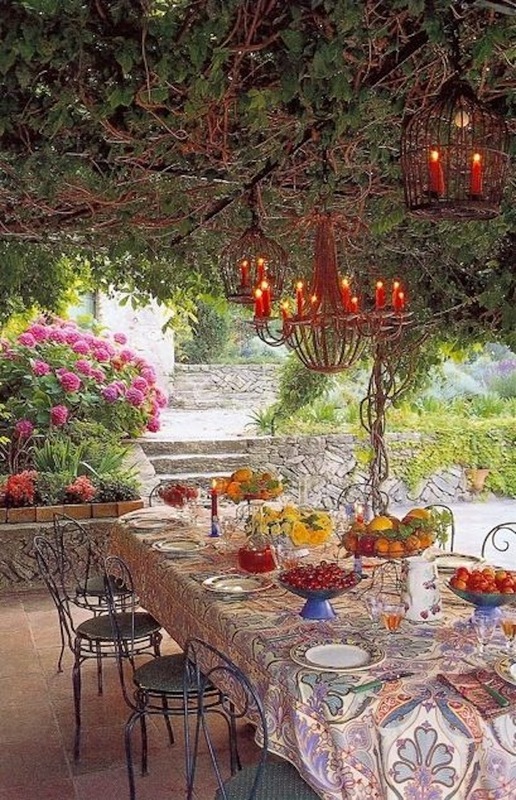 A long iron table and outdoor bistro chairs are just right in this garden. 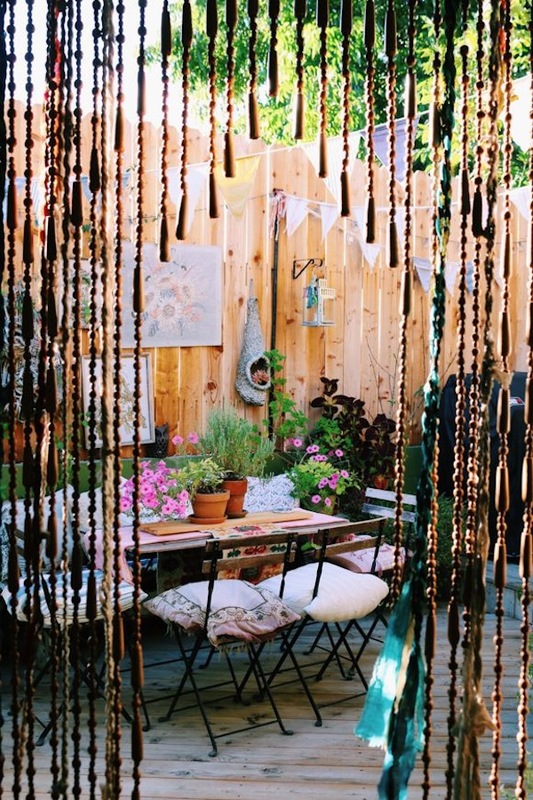 Bright color and bold pattern give this outdoor dining room an irresistible Bohemian look. 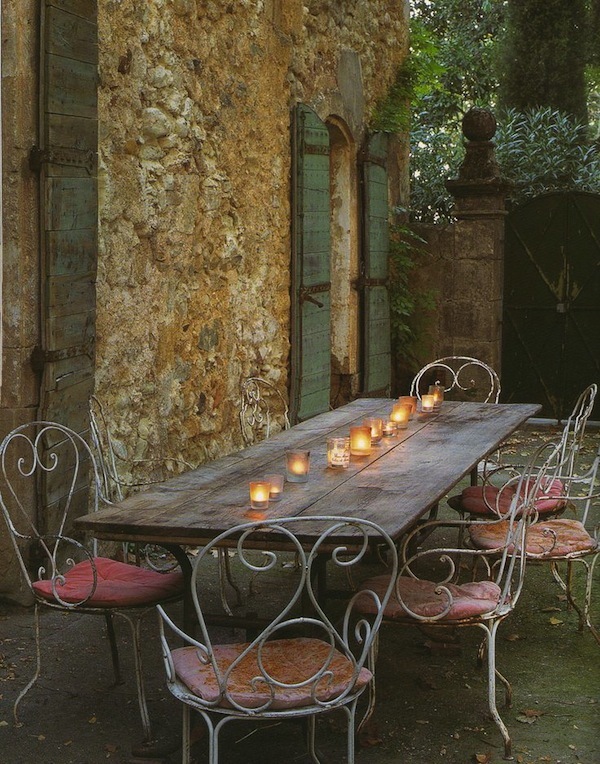 We love the bistro dining chairs and the wrought iron chandelier. Not all rectangular tables are extra long as you will see in the image above and the three below. These tables are just right to accommodate four to six bistro chairs and diners. 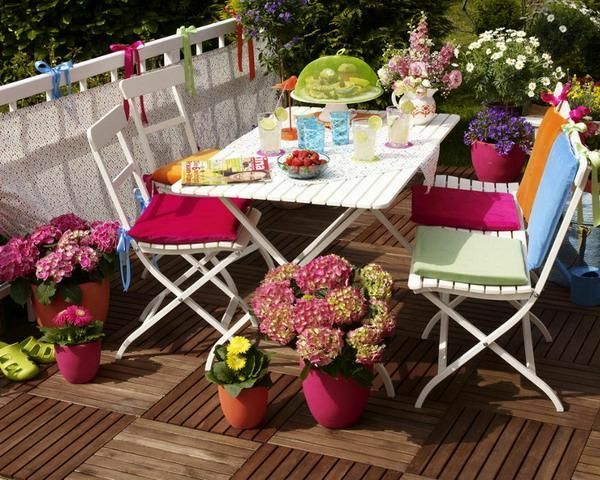 A white table and outdoor bistro chairs look fantastic with the brilliant hues of the cushions, flowers and accessories. Turquoise bistro chairs and weathered bench offer four seats for dining at this wooden table. Talk about a table with a view! 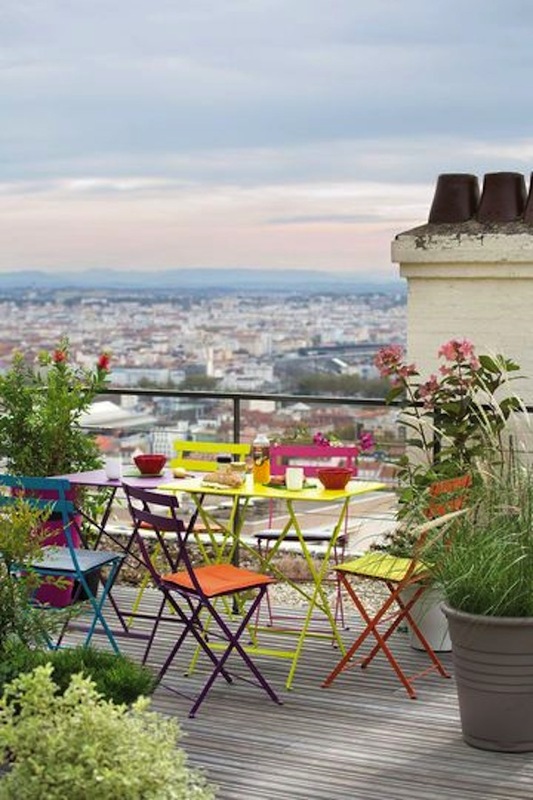 This colorful gathering of outdoor bistro chairs around a brilliant green table has a panoramic city views that’s magical. 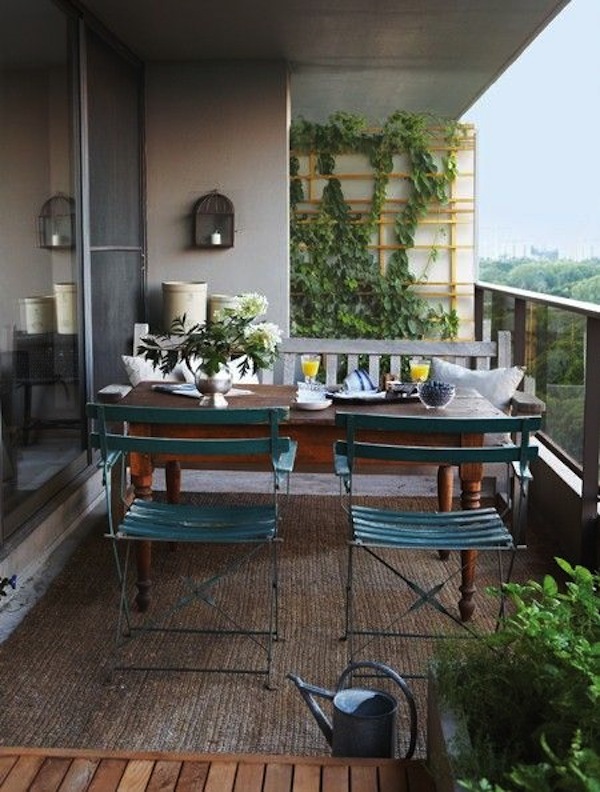 Looking for bistro chairs for your own outdoor space? Check out our range of beautiful bistro chairs for every style space. 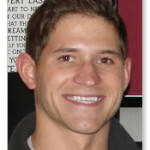 Image Sources: Pinterest.com; DigsDigs.com; CoteMaison.com; HouseBeautiful.com; BeachHouseLifeandStyle.com; LushHome.com; ApartmentTherapy.com; HookedOnHouses.com.